The VPN Lab - VPN Guides - Safety Guides - Is Trust.Zone VPN Safe? The main purpose of any VPN service is to encrypt your Internet connection and make your online presence as secure as possible. In order to do so, the VPN provider needs to make sure a couple of essential features are in place. In this short Trust.Zone overview, we’ll focus on the safety of its service and inspect the aforementioned features in-depth, one at a time. Aes-256-CBC cipher – AES is the gold-standard symmetric-key cipher. It is NIST-certified and universally regarded as very secure. We’ll just mention that the US government is using it for securing its data. AES benefits from the innate hardware acceleration found on most platforms and it features a 128-bit block size, which makes it better at handling files over 4 GB than, let’s say, Blowfish with its 64-bit block. SHA-256 authentication – The successor of SHA-1, previously used for about 10 years, delivers an unparalleled low-cost IP protection, peripheral authentication, and clone prevention. If you’re a tech aficionado and want to know more about its logistics and bi-directional authentication functionality, you can find numerous guides and “walkthroughs” online. RSA-2048 – Unlike the AES cipher, RSA is an asymmetric encryption system. Its predecessor with a 1024-bits key length was cracked by the NSA long time ago and is no longer considered secure, ergo, 2048. RSA is a part of the so-called “handshake encryption,” allowing the VPN server and OpenVPN client to communicate through secret keys. With this level of protection in place, your ISP will only see a firmly encrypted connection and nothing more. Trust.Zone VPN won’t track your online activity in terms of the exact data transferred. They will, however, track the amount of data transferred from your account. Before you start thinking of something malicious, this is a regular procedure, performed for various important reasons. Bottom line, Trust.Zone can “see” the volume of your data traffic, but not the actual data being transferred. Trust.Zone is a company registered in the Seychelles, which is an excellent base of operations for any VPN service. This region is exempt from mandatory data retention laws, making the company one of the safest options out there. Trust.Zone doesn’t store any logs of your online activity on their servers. All the data about your bandwidth usage is completely anonymous and never connected to your actual, public IP address. The only information Trust.Zone collects from you is your email address, used to confirm your registration. Third party payment processors can collect additional data, but that has nothing to do with Trust.Zone and you’ll have to consult their own privacy policies for extra insight. 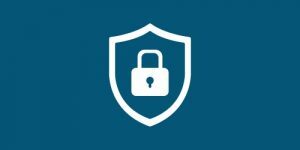 Trust.Zone utilizes a Windows client with the OpenVPN protocol, which is excellent news for anybody looking for a secure VPN service. You can also connect through L2TP/IPSec, but that’s only recommended for some mobile platforms. The client also comes equipped with an auto kill switch, as well as the option of auto starting and connecting to a VPN server during the PC booting process. Note that the active warrant canary page is a nice transparency factor, but not a guarantee of privacy. Want to find out even more about Trust.Zone? Make sure to check out our Trust.Zone Review for detailed information about this VPN provider.